The GNL Mejillones Liquefied Natural Gas (LNG) Plant contributes to energy security and reliability of natural gas supply to the mining industry in Northern Chile. Due to its location, the plant was designed with special provisions for earthquakes and required seismic monitoring. 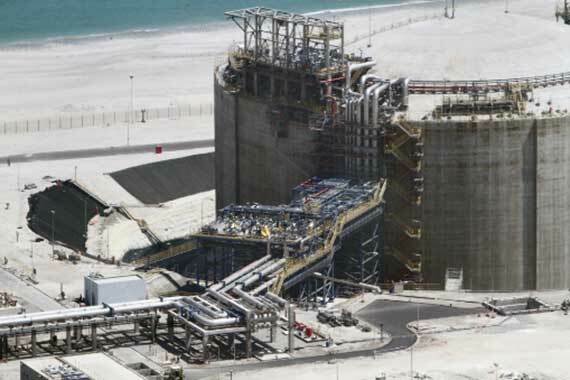 The GNL Mejillones Liquefied Natural Gas (LNG) Plant. Image courtesy of GNL Mejillones. The GNL Mejillones Liquefied Natural Gas (LNG) Plant was established by GDF SUEZ and the Chilean State Copper Company CODELCO in Northern Chile in 2010. The plan is a 750-Million US Dollars investment to secure natural gas supply for the mining industry. Post-earthquake assessment of the GNL Mejillones Liquefied Natural Gas (LNG) Plant upon the occurrence of an earthquake to ensure safe operations. Implementation of the CONDOR Seismic Monitoring System solution, which collects data from two free-field seismic stations and determines, in real-time, whether the earthquake’s impacts on the plant have or have not exceeded its Operating Basis Earthquake (OBE) design requirements. Implemented CONDOR system solution to monitor seismic activity in real-time with automatic OBE analysis, alarm and reporting. Increased Operators confidence on safe operations and emergency response procedures. Avoided uncertainties in decision making process and continuing of operations. Provided continued serviceability since start-up in 2010 and through major earthquakes that have struck Chile. Learn more about our environmental monitoring software by downloading the CONDOR2 datasheet.